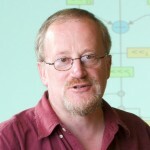 Professor Ross Anderson of Security Engineering at the University of Cambridge Computer Laboratory, renowned expert on cryptology and information security policy, authored this insightful review of escrow regulation proposals in 1999. Key escrow would have to be global to achieve its stated purpose, and there is now no prospect of this. The old nonproliferation policy has failed because the demand for good cryptography in the commercial applications mentioned above has created many companies worldwide with the necessary skills, supported by open research and development. More and more exceptions had to be made, firstly for banking, then for pay-TV, then for electricity meters; in the end, the policy suffered a `death of a thousand cuts’. It has now been abandoned by many governments.